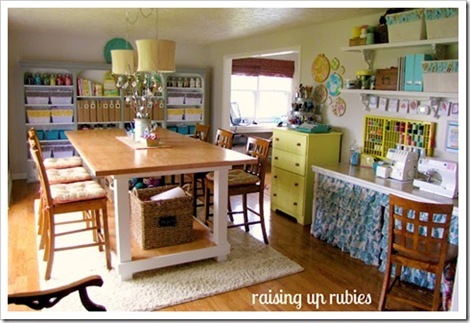 Oh my…an island style craft room! I could have so much fun visiting this beautiful craft room located under the palms in Hawaii! Do you read Craftaholics Anonymous? 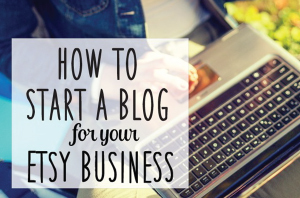 It’s one of my favorite blogs! 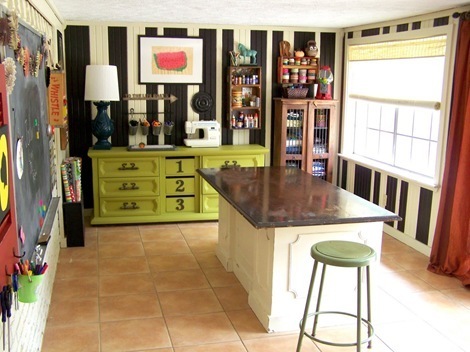 Linda created this stunning craft room with a little help from her husband. Who couldn’t feel creative in a bright and beautiful space like this?! 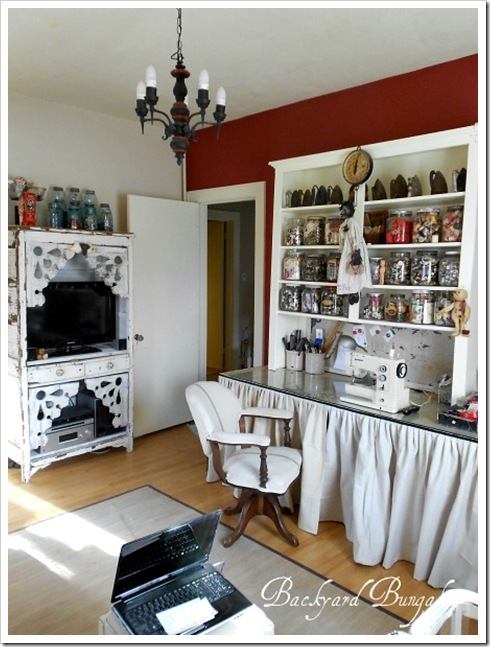 Jean created this charming vintage inspired craft room in Montana! She has some comfy black and white chairs I would love to have in my home! 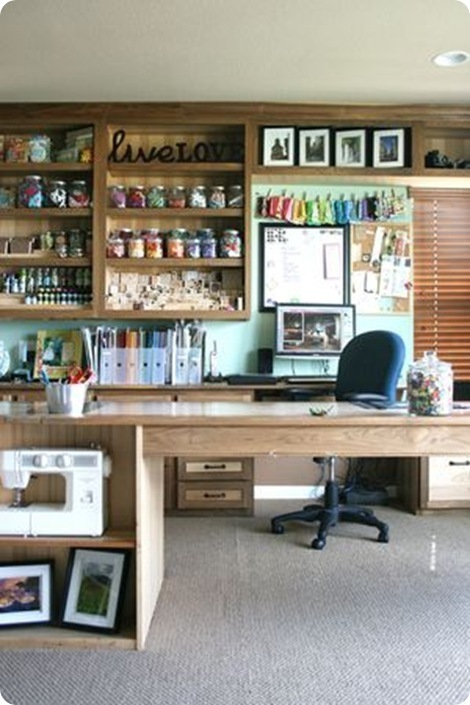 This is such a lovely craft room! Jaime made every little corner of it beautiful…don’t you love the ruffles??? Super cute! This is a beautiful craft room on a budget created by Rebecca with lots of creative ideas and a little time. 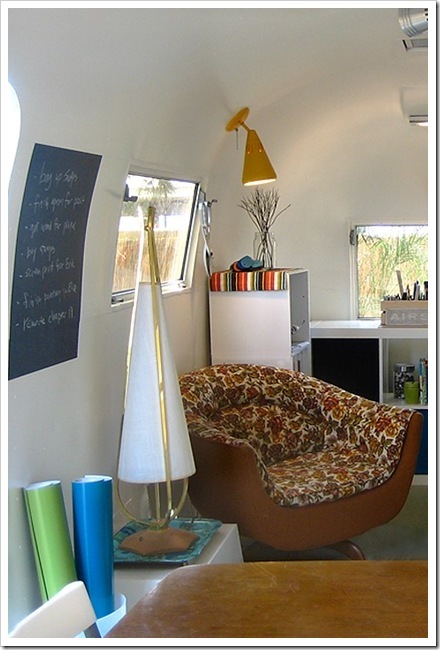 This is a dreamy Air Stream studio…need I say more??? Jenny’s stunning craft room has always been one of my favorites! I found her blog years ago and I still dream about having a little space as colorful as hers one day. 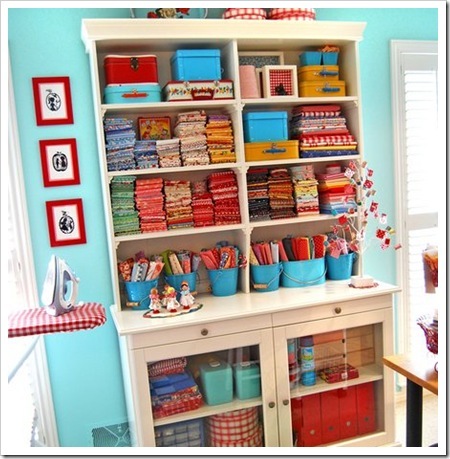 Cotton Blue’s craft room is full of Japanese fabric…I love it! 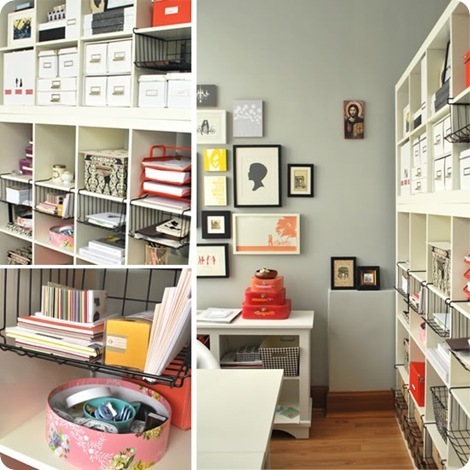 An organized studio like this one from Le Papier Studio would make it easy to get things done! Need a cool scrapbook space?? Check out this room that belongs to Help Me Ronda…she’s got it all figured out! OK, are you trying to make me jealous??? Seriously, I love all these craft spaces! I think I have a craft room fetish! 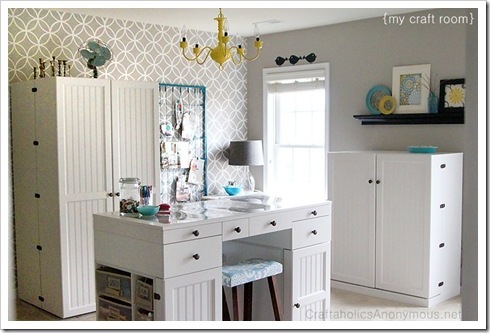 What a compliment to see my craft room/office among your favorites! Thank you for the kudos! Holy moly! These are all amazing! I’ve been in the process of getting our first home & one of the things I’m most excited about is having a craft room! These pictures are so inspiring. I hope mine will be as pretty one day. Thank you so much for featuring my studio. Ronda – Thanks for being so inspiring with you beautiful studio! It gives me hope for being more organized…ha! Wow… these put me to shame. I need to get my workspace organized again! Kim, I <3 this article. I am still in the final organizing and decoration stage of my craft studio. Thanks for this article, I saw many great ideas that I will be 'borrowing'. Great craft rooms Ladies! Waoh, they are all wonderful! Yippee Kim, thank YOU for adding my studio to your fav’s!! Totally made my day/week/year, hahha. Love all these other spaces too…so inspiring!! What an honor to be included among these beautiful craft rooms! Thank you so very much for including me! I’m excited to browse through the rest of the rooms now. Oh how I love my craft room. But… it’s not pretty like these! I guess I have some work to do! 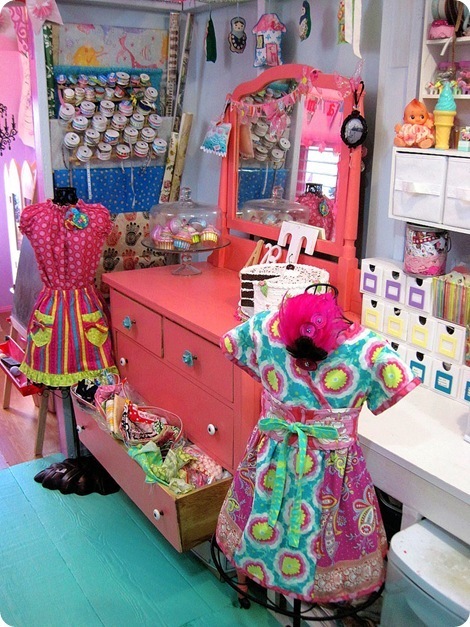 Oh, I want a craft room sooooo bad right now!!!! So inspiring! I will be rethinking my own crafting space. Always room for improvement and these are beautiful inspiring ideas. Thanks! These are gorgeous. I love anything with clean white in it. Probably because I will never be able to have white anything. (I have kids and thus, am anti-white). Thank you for posting this! I am now totally jealous! I want every one of these rooms!!!! I love these rooms and studios where you can spend hours at a time creating your art! Thanks so much for sharing these beautiful rooms and studios! Getting ready to re-do mine and all these ideas are great for inspiration! 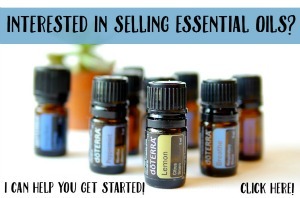 Previous Post Using Etsy as a Springboard to a Future Online!